Yesterday, crypto-unicorn Coinbase launched two big products to support the next generation of crypto hedge funds. 🔒 Coinbase Custody: Coinbase will now offer custodial services to institutions, allowing them to invest and store crypto more securely. 🔧 Coinbase Prime: As another incentive for institutional investors, Coinbase designed a new powerful trading platform and interface with a range of tools and services specifically designed for institutions. Here’s CoinDesk’s Q1 2018 State of Blockchain slideshow (with a ton of graphics) summarizing key trends, data and events in Q1 2018. Blockchain is used too much as a buzzword to sell a lot of useless snake oil. The faster we get rid of the hype, the better off long-term we’ll all be. Here’s crypto thought-leader, Jimmy Song, explaining what blockchain is and more importantly, what it’s not. Bitcoin Cash is set to quadruple its block size today, from 8MB to 32MB — delivering transaction capacity far in excess of what it requires to meet its network demand. So nine months on from its hardfork of Bitcoin, has Bitcoin Cash done what it set out to do — and where does it go from here? 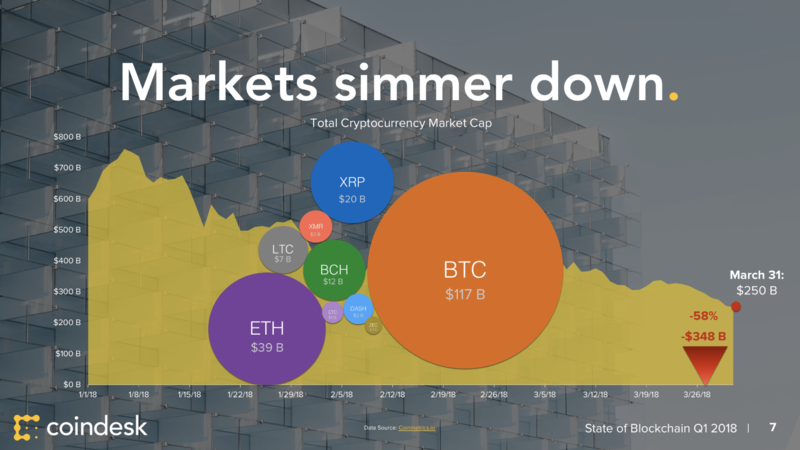 In this post, Chris McCann compares the growth of the cryptocurrency market & the early growth of the internet, to see what takeaways we can uncover. Crypto Exchange Insider reveals little-known quirk – that could help you profit from Bitcoin’s next big move… Without investing a fortune. Last week, UPBit was raided by South Korean Investigators and local police for “alleged fraud” (sending BTC prices below $9K). This week however Yoojin, a major accounting firm based in Seoul, revealed audit results of UPBit’s cryptocurrency holdings, confirming that the exchange did not inflate its balance sheet and deceive investors. Kraken, the digital-currency exchange that recently refused to respond to inquiries from New York’s top lawyer, seems to be warming up to regulators – at least federal ones. Currently, there are a lot of rumors that Mt. Gox is dumping more bitcoin on the open market, which is creating another fear and panic situation. The current resistance for Bitcoin (BTC) still remains the $8700 level, but it is being supported well by the .382 Fib as well as the 50MA. Now may not be the best time to enter any trades as we see how this plays out over the next week or so.